It is not any trade mark which is registrable. To be registrable the trademark should be distinctive and should not be similar to any other trade mark registered for the same or similar goods or used by a competitor whether registered or not. In the case of a similar mark used by a competitor but not registered difficulties for registration will arise only if the owner of the mark chooses to oppose the registration. In choosing a trade mark therefore one has to see whether the mark satisfies the requirement of distinctiveness contained in section 9 of the Trade and Merchandise Marks Act, 1958. This is not very difficult. Thereafter the applicant has to verify as far as possible whether a similar mark, has been registered or used by others for similar goods. The applicant can make a search in the indexes kept for public inspection at the Trade Marks Office with or without professional assistance from practitioners of trade mark law. In the alternative a request for a search report may be made to the Registrar of Trade Marks in the prescribed form. It may be advisable to do both as it will provide some sort of evidence of bona fide of the applicant in adopting the mark which is very important. 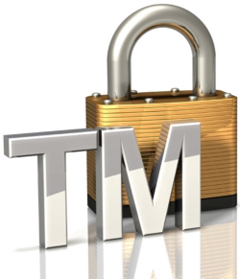 While choosing a trade mark it is dangerous to start from some existing trade mark and then make modifications. However, after independently adopting the mark, it should be ascertained whether a similar mark has been registered or used or already applied for registration. If the investigations discloses the existence of a similar mark, it is best to discard the mark chosen and start again the whole process. It is not always easy to decide whether two marks are similar. The best way to determine the question is to consider one`s reaction and apply common sense.